Protect your hearing the right way. Gear up for your next range trip! Walker's® Razor Patriot Series Ear Muffs feature a 23dB noise reduction rating and Sound Activated Compression Technology that protects your ears from loud gunfire, while still allowing you to hear range commands and other shooters. Ultra-slim, low-profile design fits comfortably around your ears and won't take up much space in your range bag. Display your love for the USA. Personalize your Electronic Ear Muffs with the included Patch Kit! Patriot Patches attach securely to your Ear Muffs, giving you a unique way to show off your love for the red, white and blue. Includes two USA flag patches. 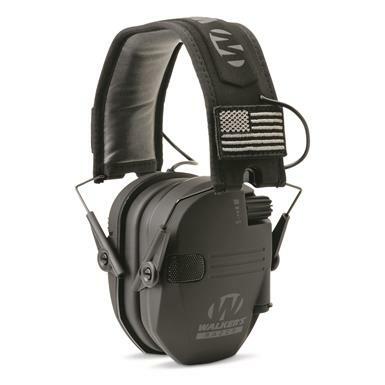 Walkers Razor Patriot Series Electronic Ear Muffs is rated 4.8 out of 5 by 5. Rated 5 out of 5 by Toulon Rouge from Great Headphones Very comfortable, reliable and sturdy. 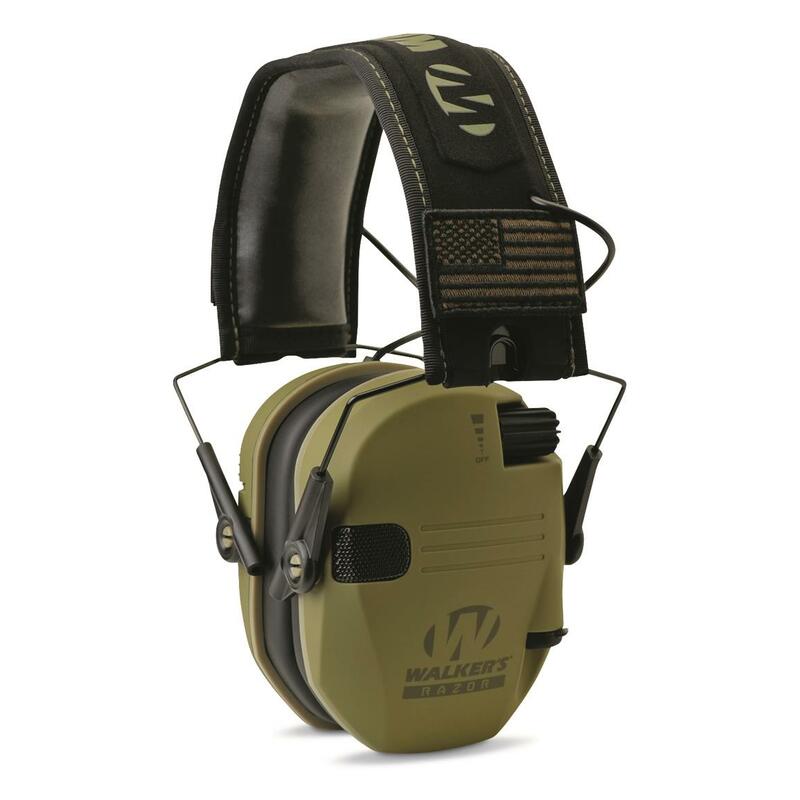 Not since my Military issued Peltor COMTAC III did I have a set of ear protection that not only blotted out loud noises but made it easy to hear commands. Using the audio features allowed me to hear sounds I normally wouldn't be able to pick up. The velcro attachment for small patches is an added bonus as I can use my own patches along with what is issued.How durable will this be over the next years? We will see. My previous headset had served me since 2007 and broke during a Pistol course back in February of 2018. Time will tell. Rated 5 out of 5 by Slamdunk34 from Awesome These earmuffs are great. They fit perfect and sound great. Rated 5 out of 5 by walt from great product great fit and feel. bought these as a replacement to another pair of electronic ear muffs(different brand then this one) that no longer work properly.